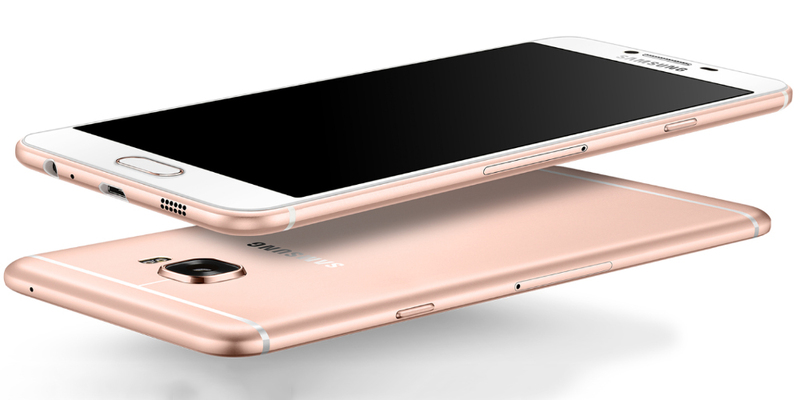 Samsung's first smartphone with 6 GB of RAM should be the Galaxy C9 Pro. This device has just appeared on the website of a Chinese merchant before the official announcement will take place in the coming hours. China debut of this new mobile device could be an opportunity to recover some of the lost reputation with the story of the Samsung Galaxy Note 7. Especially after having declared that versions of the phablet distributed in China were not defective. The Samsung Galaxy C9 Pro has an aluminum frame and a Super AMOLED 6-inch screen with Full HD resolution (1920 x 1080 pixels). Some images appeared on the social network Weibo showing the new antenna design. Instead of a single line through the back cover at the top and bottom of the horizontal, Samsung has introduced three finer lines having the same color as the rest. The hardware includes a Snapdragon 653 octa-core processor flanked by a flash memory of 64 GB and 6 GB of RAM. For the two cameras, the Galaxy C9 Pro has the same sensor with 16 megapixel resolution and a lens with an aperture of f/1.9. Connectivity is provided by modules Wi-Fi, Bluetooth, GPS and LTE. The battery has a capacity of 4000 mAh. With this smartphone, the user can now use Samsung Pay to make payments from cell phone, using the integrated NFC chip or the most widespread technology MST (magnetic secure transmission). There is also an audio jack of 3.5 mm, an USB Type C port and a fingerprint reader. The operating system is Android 6.0.1 Marshmallow. Therefore, the Galaxy C9 Pro specifications are similar to the recent Oppo R9s Plus, but the price is slightly lower: ¥ 3,199 against ¥ 3,499. We talk in terms of yuan, mainly because we do not have much hope of seeing this smartphone being launched beyond the borders of China or India.